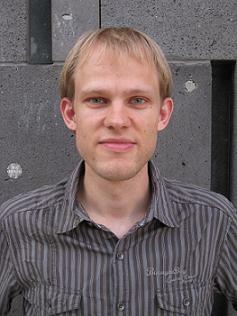 Florian Herzig from the University of Toronto has been selected as the recipient of the 2014 Ribenboim Prize of the Canadian Number Theory Association. The Ribenboim Prize, named in honour of Paulo Ribenboim, is awarded for distinguished research in Number Theory by a mathematician who is Canadian or has close connections to Canadian Mathematics. Previous winners are: Andrew Granville (1999), Henri Darmon (2002), Michael Bennett (2004), Vinayak Vatsal (2006), Adrian Iovita (2008), Valentin Blomer (2010), Dragos Ghioca (2012). The 2014 award will be presented at the CNTA XIII meeting, to be held from June 16 to 20, 2014 at Carleton University. Florian Herzig has produced deep work across a broad spectrum of number theory, arithmetic geometry and representation theory. The main theme of his research is the emerging mod p Langlands programme, an area where he is undoubtedly a world expert. One of his striking results is to reduce the classification of irreducible mod p representations of a p-adic GL(n) to the case of supersingular representations. Recently, in joint work with Henniart and Vigneras, Herzig proved the analogous result for an arbitrary connected reductive group, thus completing the pioneering work of Bathel and Livné for the group GL(2). He has also made essential contributions to the theory of p-adic Galois representations, for example his work on Serre's weights for U(3), his joint work with Emerton and Gee on weight cycling, and his work with Tilouine on mod p Galois representations for GSp(4).